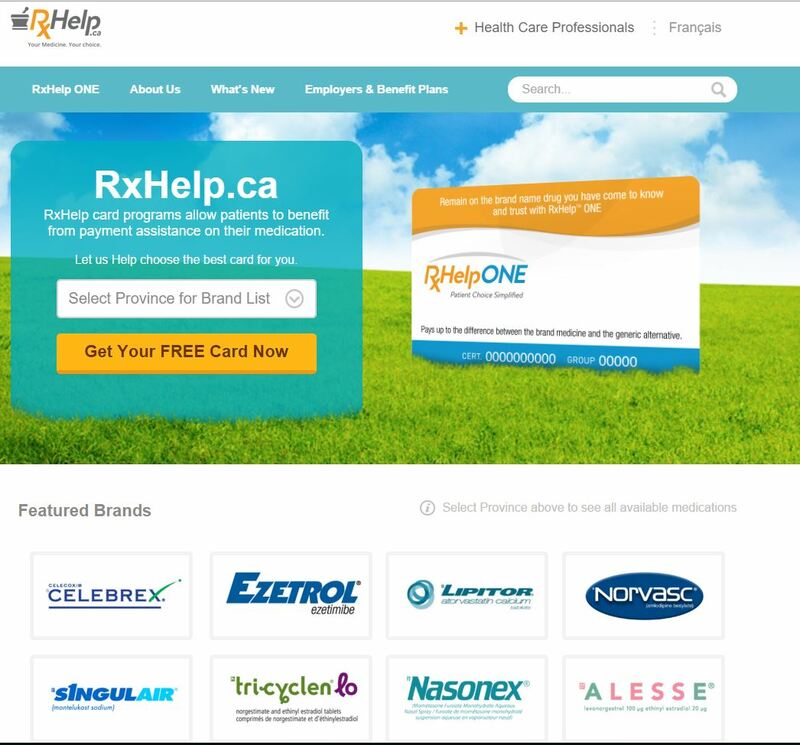 Launched in 2007 the RxHelp.ca website was the first website in Canada to offer patients direct access to patient assistance and patient choice programs. The site has continued to evolve and was the first to offer downloadable PDF cards and cards for use on smartphones. As the inovator of Loss of Exclusivity (LOE) programs in Canada Cameron Stewart has significant experience in designing, implementing and managing LOE programs. With millions of cards in the field and programs that have been running for multiple years Cameron Stewarts’ programs have provided positive ROI and market share retention to our clients. The RxHelp Card and RxHelp.ca are two of the most powerful programs available to consumer-oriented pharmaceutical marketers. The RxHelp card is a flexible tool, which can be provided to patients by their physician, their pharmacist, can be ordered directly from the website or an eCard can be downloaded and printed for immediate use. Visit the RxHelp.ca Web site for more information.